Flat was beautiful, clean and very comfortable.Lovely landlord showed us everything, came just in time. Nice approach. 10/10. I would really recommend! Good location with a sufficient public transport. You can reach the main railway station in 15 minutes, popular locations in the city in 5 minutes. Very good bed. Nice kitchen, nice bathroom everything very good!! Very nice view over Ostrava from balcony. 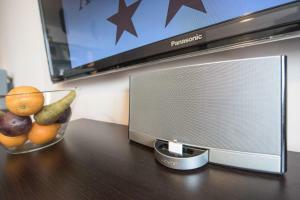 Ver big TV with nice soundbox. Superb. Clean, modern and even had a washing machine. 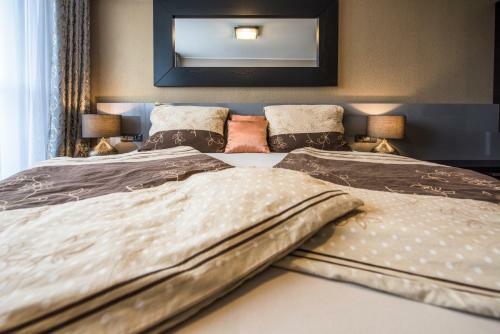 We really enjoyed our stay, the apartment was perfectly clean and well equipped. We particularly appreciate the host - he's been very helpful, flexible and the arrangement for keys was very smooth. We also appreciated late checkout, definitely a pro compared to the usual hotel standards. A bonus is a great view from the appartment. Highly recommended for the good money/value ratio. I'd also recommend this for a longer stay. ... and also here I will repeat myself: "Very good looking, quite, very well and efficiently equipped apartment (we missed nearly nothing - enough coffee cups, tea cups, glasses, wine glasses, ...). Smooth key hand over. Quite late (compared to others) check-out as standard. Free wi-fi, free parking in the parking lot in the street. 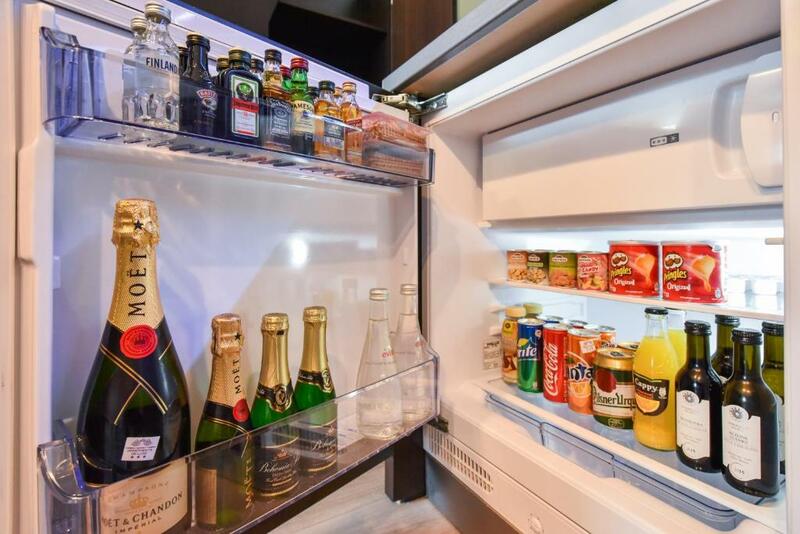 Very well stocked minibar. Towels in the bathroom (not in the bed).". Very good looking, quite, very well and efficiently equipped apartment (we missed nothing - enough coffee cups, tea cups, glasses, wine glasses, champagne glasses, ...). Smooth key hand over. Quite late (compared to others) check-out as standard. Free wi-fi, free parking in the parking lot in the street. Very well stocked minibar. Towels in the bathroom (not in the bed). 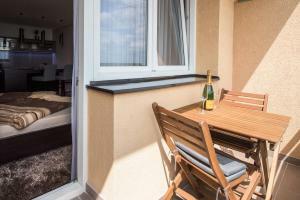 Lock in a great price for Luxury Apartments Ostrava – rated 9.3 by recent guests! 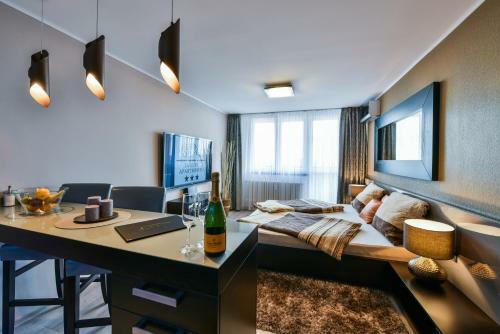 Luxury Apartments Ostrava This rating is a reflection of how the property compares to the industry standard when it comes to price, facilities and services available. It's based on a self-evaluation by the property. Use this rating to help choose your stay! 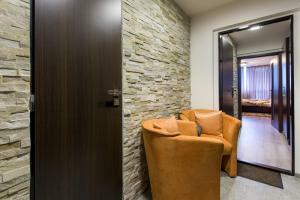 Luxury Apartments Ostrava is located in Ostrava, 0.6 mi from Stodolní Street. National Cultural Monument the Lower Vítkovice is 1.4 mi away. Free WiFi is offered. All units feature air conditioning, flat-screen TV with satellite channels. All apartments have a seating area and balcony. There is also a kitchen, equipped with a dishwasher. A microwave, a toaster and fridge are also featured, as well as a kettle. Every unit features a private bathroom with slippers. Towels are available. Main Bus Station Ostrava is 0.7 mi from Luxury Apartments Ostrava. The nearest airport is Leos Janacek Airport, 12 mi from the property. 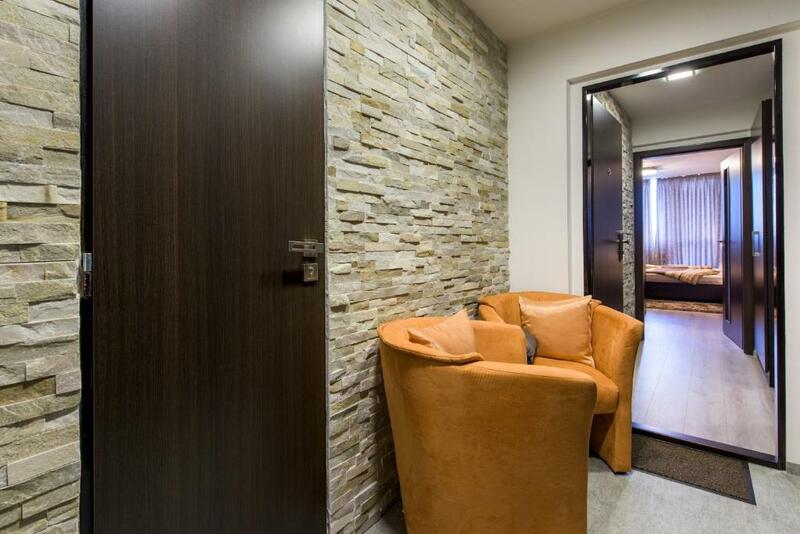 When would you like to stay at Luxury Apartments Ostrava? This apartment has a toaster, washing machine and balcony. Apartmány Jana & Sabina jsou zcela nové a plně vybavené apartmány, které se nacházejí poblíž centra Ostravy 0,8 km od Stodolní ulice, 1,8 km od národní kulturní památky Dolní oblast Vítkovice a 19 km od letiště Leoše Janáčka. Všechny apartmány mají klimatizaci, TV s plochou obrazovkou Full HD a kabelovým příjmem, balkón s posezením, vysokorychlostní internet zdarma a plně vybavenou kuchyň včetně minibaru, myčky nádobí, mikrovlnné trouby atd. Postele mají vysoce kvalitní matrace značky TEMPUR. Některé apartmány mají přehrávací zařízení pro Iphone/iPad. 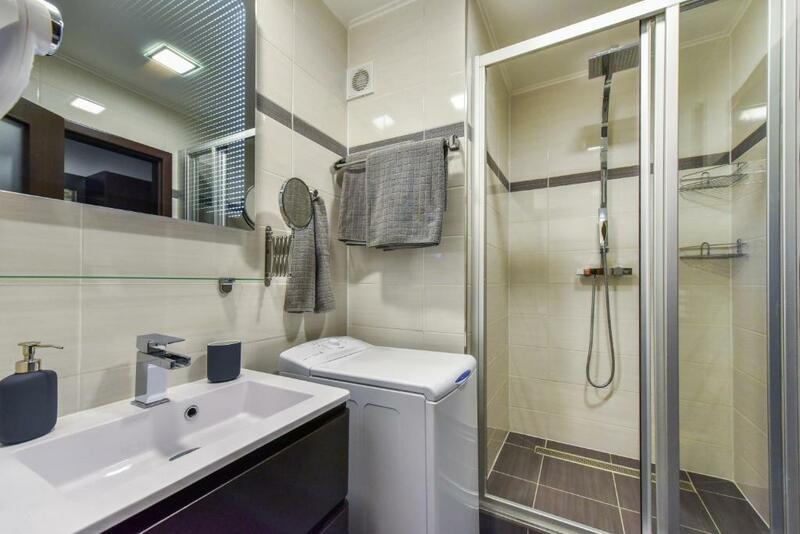 Součástí každého apartmánu je vlastní koupelna s toaletními potřebami a pračkou zdarma. Parkování zdarma. Pro naše hosty za příplatek zajišťujeme transféry, pronájem vozidel a službu praní a žehlení prádla. 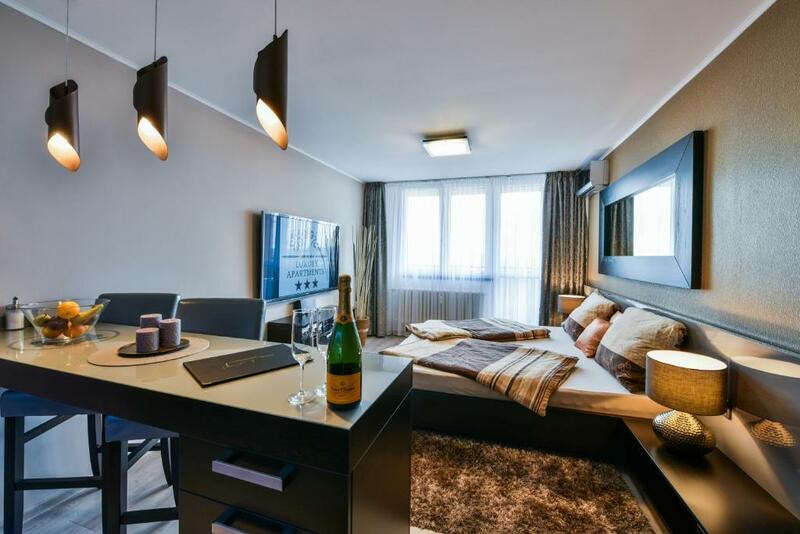 House Rules Luxury Apartments Ostrava takes special requests – add in the next step! Luxury Apartments Ostrava accepts these cards and reserves the right to temporarily hold an amount prior to arrival. 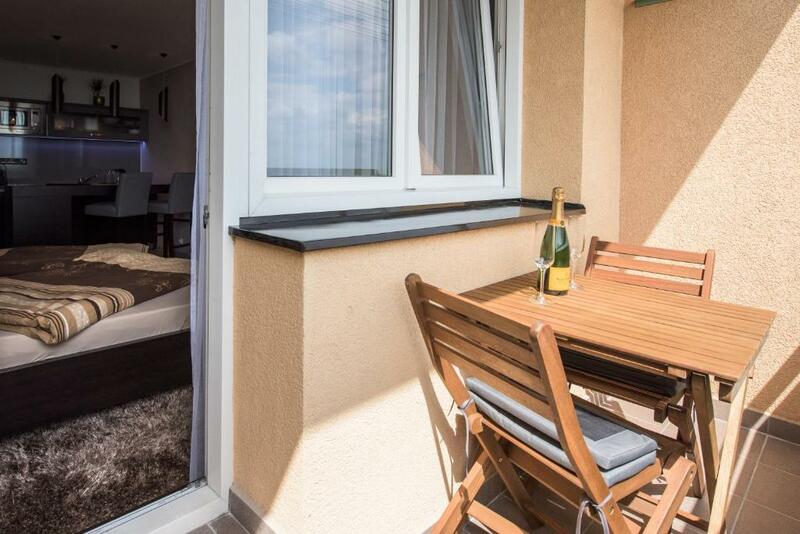 Please inform Luxury Apartments Ostrava of your expected arrival time in advance. You can use the Special Requests box when booking, or contact the property directly using the contact details in your confirmation. There was no easy chair and the only work place for my computer was an uncomfortably high bench. The TV and satellite system were probably good, but there were no instructions on how to work it. The host was unable to help with getting BBC World Programme. The apartment was on 16th floor but the lift only reached the 15th floor. The minibar contents were way over priced eg water was 2 euro - supermarket price about 20c. Coffee capsules 35 crowns - supermarket price 9 crowns. Host very friendly. Washing Machine. 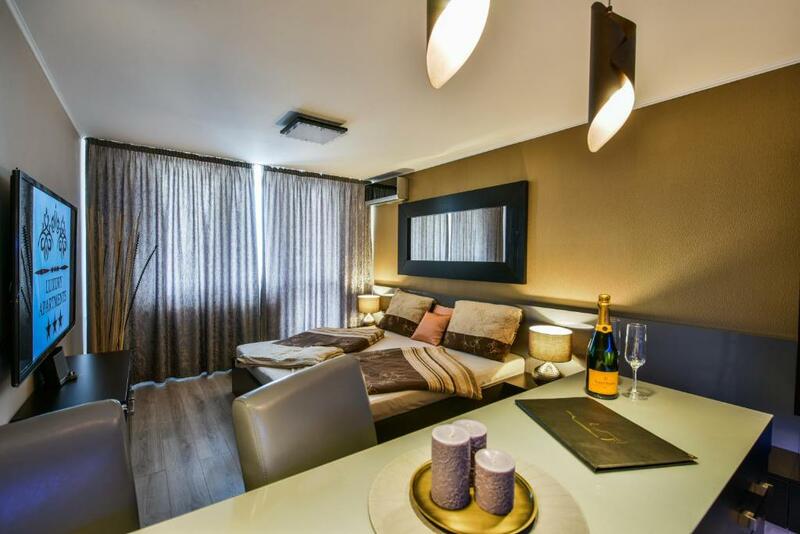 Very modern apartment with complete facilities. I can only repeat what I wrote last time with some minor adjustments: "The only real issue was permanent LED light (one little bulb when we turned the whole LED-stripe off remained on) in the kitchen corner which we were not able to switch off during the night (hence we had to cover it) - it is still there. You can hear the noise from the corridor but that's why there is the second door in the apartment. There is quite narrow space in the bathroom around the toilette (between the wall and the wash machine)." Champagne glass probably broke in the meantime and was not replaced. And we also missed bowl for cereals for breakfast and there was no black tea. The only real issue was permanent LED light (one little bulb when we turned the whole LED-stripe off remained on) in the kitchen corner which we were not able to switch off during the night (hence we had to cover it). You can hear the noise from the corridor but that's why there is the second door in the apartment. There is quite narrow space in the bathroom around the toilette (between the wall and the wash machine).